When Sally Wylde moved to the Oakhurst community of Decatur from rural Massachusetts in 1993, she observed a troubling phenomenon taking root, as an urban community became increasingly separated from the natural world. Every afternoon, children leaving the nearby elementary school cut through the yard of Sally’s neighbor, Mrs. Louise Jackson, and trampled her beloved garden. Instead of involving the police, Sally and Mrs. Jackson partnered with a group of neighbors to invite the children to become caretakers of the garden. Working together, they restored Mrs. Jackson’s garden and added a beautiful, hand-painted fence. The children watched with delight and amazement as their plantings flourished and something ordinary turned into something special — a process they had never noticed or understood before. The group went on to create a garden in the median strip of the street in front of Mrs. Jackson’s house. They took tremendous pride in their work, which was honored at a ceremony with the city’s mayor, who presented each child with a certificate of appreciation. The following year, Sally and her husband, Britt Dean, acquired a nearby, undeveloped half-acre lot that was at risk for development in the rapidly gentrifying Oakhurst. Thus the Oakhurst Community Garden Project was born. As the Garden matured into an established grassroots nonprofit organization with Sally at its helm, the lot transformed into an urban oasis with vegetable and floral plots, a pond, art installations, beehives, animals, and restored native habitats. As her vision for a place of “secret wild spaces for children” and hands-on environmental education became reality, Sally inspired countless neighbors of all ages to become better caretakers of the earth, of one another, and of themselves. 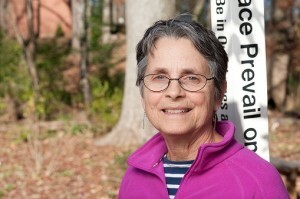 Sally Wylde retired as executive director of the Oakhurst Community Garden in 2005. But “retirement” is not really the word. She returned to her first calling, as an artist. She began painting again, and soon she had works on display in galleries around town. The year following her retirement, she orchestrated a communitywide art project, bringing together an army of artists who created giant puppets in a spectacular array of colors, shapes, and sizes to march in Decatur’s annual Earth Day parade. Participants and bystanders alike bore witness to the powerful way that art and nature are linked as sources of beauty and nourishment. Sally also began exploring other creative outlets. She began writing. She took piano lessons. She became involved in an improvisational theater group. She volunteered with Decatur’s Farm to School initiative, bringing to that endeavor her passion for empowering children to take charge of their own health and connecting it to the health of the planet. She also volunteered with the Global Village School, helping bring a powerful arts education experience to this Montessori-based educational program for teenaged girls whose formal education has been interrupted by war and refugee camp experiences. 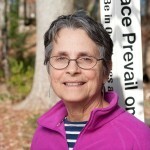 Sally, who completed a master of fine arts in painting from Tufts University and a master of theological studies from Candler School of Theology of Emory University also served on the Decatur Greenspace Commission and was a member of the Decatur Rotary Club. She was honored in 1998 as a Decatur Hometown Hero. Guests attending the celebration of the life of Sally Wylde planned for this Saturday, Sept. 11, at Oakhurst Baptist Church at 5:00 p.m. are invited to bring flowers from their own gardens along for the service. Members of the Divine Feminine Sunday School class (of which Sally was a part) will be on hand to arrange the flowers in the church as folks bring them in. Please bring what you can from your home garden and help us decorate the church in a way that honors Sally’s unique spirit! If you live in the Oakhurst neighborhood, we encourage you to walk to the Church. 6:15 p.m. The service will be followed by a Sally inspired puppet parade. Haul out those beautiful puppets you made with Sally or create a new one. The parade will march from the Oakhurst Baptist Church down to the Oakhurst Community Garden Project using the East Lake Drive and Oakview Road route. You may join the parade at anytime during the route. Are you attending the service? Store your puppet at the Church. 7 p.m. Reception starts at the Oakhurst Community Garden Project located at 435 Oakview Road, Decatur, GA 30030. Let’s gather to celebrate a fabulous meal Sally style! If you are attending the reception, please bring a dish to share. Dishes can be dropped off at the Oakhurst Garden between 3:30-4:30 p.m. In case of rain, the reception will take place at the Solarium located at 321 West Hill Street, Decatur, GA 30030. 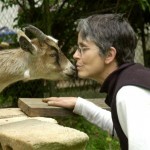 Read Amanda Kail’s tribute to Sally Wylde. Amanda served as the first OCGP Environmental Educator. The tribute was shared at the 9/11/10 Memorial Service. Jillian A. Wells features Sally Wylde in Decatur News Online.